Secretary of State John Kerry arrives today in Jerusalem on his fourth visit to the region since accompanying President Barack Obama in March. Secretary Kerry will continue his efforts to establish a framework for negotiations between Israelis and Palestinians, having repeatedly made clear his view that an Israeli-Palestinian peace agreement is a key interest of the United States. “So much of what we aspire to achieve and what we need to do globally, what we need to do in the Maghreb and South Asia, South Central Asia, throughout the Gulf, all of this is tied to what can or doesn’t happen with respect to Israel-Palestine,” Secretary Kerry said during his Senate confirmation hearing. The Arab Peace Initiative was unanimously reaffirmed at the March 2007 Arab League summit in Saudi Arabia, during which all 22 Arab member states except Libya were present, and Palestinian Prime Minister Ismail Haniyeh of Hamas, the militant group that now governs the Gaza Strip, abstained from the vote. Earlier that month, Jordan’s King Abdullah II delivered a speech before a joint meeting of the U.S. Congress, highlighting the continued salience of the conflict in the region’s politics and calling on lawmakers to support U.S. efforts at peacemaking. When the Arab Peace Initiative was first introduced, Israeli leaders reacted extremely cautiously if not outright negatively to it. They claimed the initiative, which came during a particularly violent moment of the Second Intifada, put the onus for peace entirely on Israel. In a statement at the time, then-Foreign Minister Shimon Peres recognized the Arab Peace Initiative as an important step but one “liable to founder if terrorism is not stopped.” Other Israeli leaders rejected what they saw as the non-negotiable nature of the proposal. “If the Arab initiative is take it or leave it, that will be a recipe for stagnation,” Foreign Ministry spokesman Mark Regev said in response to the peace initiative’s re-adoption in 2007. Other Israeli leaders had a problem with the initiative’s framing of the Palestinian refugee problem, stating that a return of Palestinian refugees to Israel in accordance with U.N. General Assembly Resolution 194 would threaten Israel’s existence as a Jewish state. “If 300,000-400,000, or maybe a million, Palestinians would invade the country, that would be the end of the state of Israel as a Jewish state,” said Likud Party spokesman Zalman Shoval in 2007. Some Israeli officials attempted to reach out to Arab officials to start a discussion on the proposed Arab Peace Initiative. Former Deputy Foreign Minister Danny Ayalon, who was an adviser to Israeli Prime Minister Ariel Sharon in 2002, for example, recently told the Times of Israel that he had attempted to meet with a representative of the Saudi government in Washington, D.C., in 2002 in order to assess the seriousness of the peace initiative but that the Saudi representative had reneged on the planned meeting. Reports in 2007 and 2008 indicated that the Israeli government was considering a response to the Arab Peace Initiative, but as yet there has been no formal counter-proposal. In remarks introducing former Sen. George Mitchell (D-ME) as his administration’s special envoy for Middle East peace in 2009, President Obama said the initiative “contains constructive elements that could help advance these efforts.” Mitchell later said that the administration intended to “incorporate” the peace initiative into its policy, but there did not seem to be a strong public effort to do so. “We looked around at what was happening in neighboring countries and we said to ourselves, ‘It is about time that the Israeli public raised its voice as well,’” said Danny Yatom, a former head of Mossad and a signer of the Israeli Peace Initiative. “We are isolated internationally and seen to be against peace,” said former Shin Bet head Yaakov Perry, another of the document’s supporters. Perry continued, “I hope this will make a small contribution to pushing our prime minister forward. It is about time that Israel initiates something on peace.” Perry is now a member of the Knesset and the number-two man in Yesh Atid, the centrist party that made a surprisingly strong showing in Israel’s January elections. Precisely now, in light of developments in the Arab world and the relative fluidity inherent in every revolution, the possibility of influence is greater and the price Israel will eventually have to pay to reach its national goals and attain peace with the Arab world may be lower. 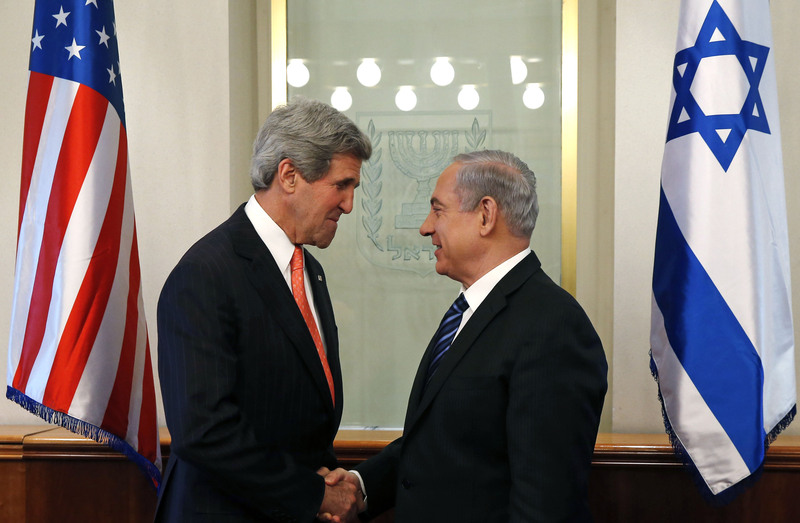 In late March, shortly before President Obama’s Middle East visit, Israeli media reported that Secretary Kerry would seek to revive the Arab Peace Initiative as a starting point for future talks. In early April it was reported that the Obama administration had informed the Palestinian Authority that its new approach to peace negotiations would be based on the Arab Peace Initiative and that President Obama had discussed the matter with the Palestinian leadership during his March visit to Ramallah. Palestinian sources later said that, in discussions with Secretary Kerry, the president had proposed two small changes to the initiative to make it more palatable to Israel: the 1967 lines could be modified through mutual agreement, along with stronger security guarantees for Israel. After meeting in Washington in late April, the Arab League agreed to support limited, mutually agreed-upon land swaps as part of a peace deal. “The Arab League delegation affirms that agreement should be based on the two-state solution, on the basis of the 4th of June 1967 line” with the possibility of a “comparable and mutual agreed minor swap of the land,” said Qatari Foreign Minister Sheikh Hamad bin Jassim al-Thani, speaking on behalf of the Arab League. Moreover, al-Thani told reporters that the Arab League delegation understood that “peace between the Palestinians and the Israelis is … a strategic choice for the Arab states.” Shortly thereafter, the Fatah Central Committee accepted the Arab League’s proposal on land swaps and welcomed U.S. efforts to revive peace negotiations with Israel. Former Israeli Prime Minister Ehud Olmert, on the other hand, criticized the government’s failure to embrace the Arab Peace Initiative. “We are speaking of an opportunity that must be seized to renew the diplomatic process. … It’s a very important development,” he said and urged Israeli leaders to “stop making excuses.” Israeli Labor Party leader Shelly Yachimovich likewise called on Netanyahu to pursue the initiative, as did Justice Minister Tzipi Livni, who officially handles the Israeli-Palestinian negotiations file. There is some evidence that Israel may now be prepared to respond more positively to the Arab Peace Initiative than it has in the past. Just this past January two prominent signers of the Israeli Peace Initiative, Yaakov Perry and Merav Michaeli, were elected to the Knesset, the legislative branch of the Israeli government. And this month saw the establishment of a pro-two-state caucus headed by Deputy Speaker of the Knesset Hilik Bar of the Labor Party in partnership with the Israeli Peace Initiative and the grassroots One Voice movement. Amid turmoil of the ongoing transitions in the Middle East, it is significant that Arab leaders remain publicly committed to the Arab Peace Initiative and have signaled that the proposal could serve as a basis for negotiations rather than demanding a take-it-or-leave-it offer. In particular, the demand for Israel’s withdrawal from the Golan Heights will likely have to be re-examined in light of Syria’s continuing civil war. A durable solution to the Arab-Israeli conflict must be one that involves as many regional stakeholders as possible. With the recent adjustments, the Arab Peace Initiative is consistent both with multiple U.N. Security Council resolutions relating to the conflict, with the policy of multiple U.S. administrations, and with the overwhelming international consensus regarding the creation of two states for two peoples. As a recent Pew poll showed, Israelis and Palestinians have very different views regarding the other side’s commitment to peace, but one thing they agree on is the necessity of U.S. involvement in achieving that outcome. For the past two decades, the United States has worked to achieve a two-state solution to the Israeli-Palestinian conflict. Secretary Kerry’s attempt to revive a broader regional framework for negotiations is an important component of the strategy to create a more favorable environment for supporting peace in the Middle East. At a time of great uncertainty in the region, these efforts should be encouraged. Matthew Duss is a Policy Analyst and Director of Middle East Progress at the Center for American Progress.